When it comes to chemical reactions, enzymes are key players. These specialized proteins drive reactions and control how quickly they proceed. Some conditions like pH impact the enzyme's shape and determine how well the enzyme functions. Elaborate chemical structures called enzymes control the vast majority of chemical reactions within living things. As such, enzymes have incredible diversity in form and function. 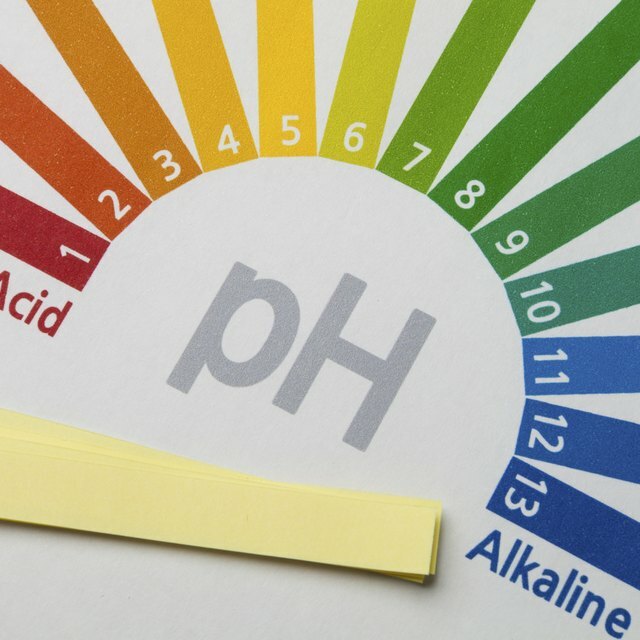 Every individual enzyme has a specific optimal pH. Outside of their ideal pH range, enzymes may slow down or stop working entirely. Enzymes are a class of proteins. This means that chains of amino acids form their basic structures. Depending on the specific enzyme, the various amino acids interact with each other and the surrounding environment -- including the pH, which causes the chains to bend or curl up into complex structures. These structures speed up chemical reactions by grabbing chemicals and putting them together or breaking them apart. Living things use these enzymes to control the speed of chemical reactions. Since enzymes are made of amino acids, changes in pH alter the way these individual building blocks behave. The pH scale measures how acidic or basic a sample is, which in turn describes how much ionic hydrogen or hydroxide is in a sample. Changes in pH cause amino acids' component atoms and molecules to ionize. This can make an enzyme change shape. These shapes determine function, so changing the shape can impair the enzyme's function, preventing it from speeding up chemical reactions. All enzymes have an ideal pH at which the enzyme will perform as fast as it can -- assuming other conditions are also ideal and based on its specific function. For example, an enzyme that works in the acidic environment of the human stomach will have a lower ideal pH than an enzyme that works in the more-or-less neutral environment of human blood. When the pH deviates from the ideal conditions enzyme activity will slow, then stop, depending on how much the conditions deform the enzyme. Depending on the enzyme and how extreme the pH change gets, these changes may permanently "break" the enzyme or the enzyme may return to normal once conditions get back to the enzyme's ideal range. In addition to pH, several other factors can have a similar effect on enzymes. Temperature has a similar effect on enzymes' structure, with each enzyme having a different ideal temperature. Additionally, the amount of substrate -- the chemicals an enzyme acts on -- has a stark influence on reaction speed. Adding more substrate speeds the reaction until it hits a plateau at which the enzyme can't move any faster. Some enzymes have inhibitors that block their actions. For some enzymes, the end products of the reactions they encourage actually shut off the enzyme. This is called "feedback" and helps regulate how much of a substance an enzyme creates. Boumis, Robert. "What Happens to Enzyme Activity if the pH Is Unfavorable?" Sciencing, https://sciencing.com/happens-enzyme-activity-ph-unfavorable-10952.html. 16 May 2018.